Intel Bay Trail processing in a cool, quiet 1U rackmount chassis. Powered by Intel's Quad-Core J1900 Celeron processor, the MK100B-10 perfectly balances energy efficiency (consuming less than 20 watts) and processing power. 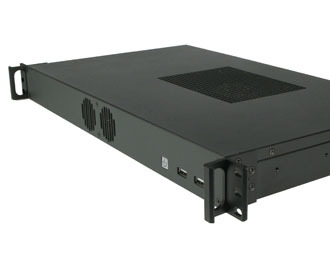 Unlike previous generations of energy-efficient rackmount systems that struggled with HD graphics and processor-intensive applications, this compact system can handle everything from simple, single function embedded computing tasks to complex desktop and HD media reproduction. 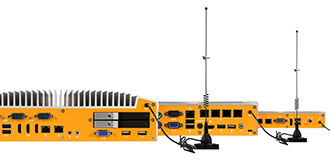 The MK100B-10 is also available with optional 4G LTE connectivity, enabling remote network access or failover protection. 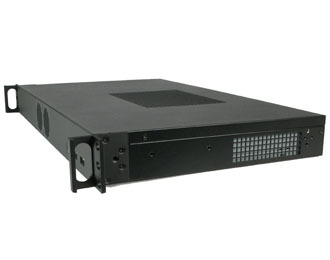 Designed with quality and reliability in mind, the MK100B-10 fits into any 1U rack.  The durable, all-metal enclosure is manufactured to the highest quality standards, with EMI-minimizing features and muffled fans that keep the system cool enough to run 24/7 in a server rack and quiet enough for A/V applications. With two expansion slots and plenty of room for additional expansion cards, the system has out of the box customization and reversible mounting ears that allow for I/O-forward installation. Packing a rich feature set into a compact package, the MK100B-10 is equipped with 6 USB ports (including 2 USB 3.0 ports), dual Gb LAN, and two RS-232 COM ports. It can also power dual independent displays via VGA and DVI-I ports, and the system also includes two PS/2 ports for legacy KVM support. A full-height PCIe Mini Card slot can be utilized for expansion as well as Wi-Fi and Bluetooth connectivity. 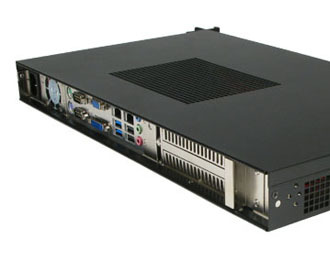 Internal pin header connectors for USB and serial ports can be utilized to leverage additional I/O, and the included PCIe x1 expansion slot allows for network adapters, video cards, or proprietary expansion cards.